You finally made it to the weekend. You go girl! 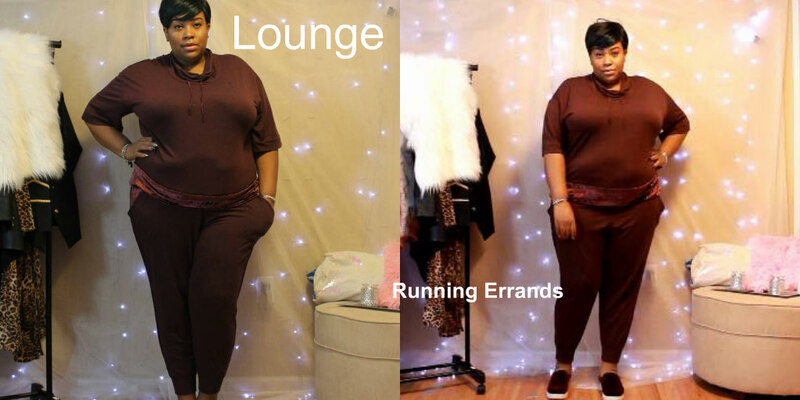 I am really super thrilled to talk to you about another fashion favorite of mine which is loungewear! I have been loving adding some style to my PJ’s and casual gear, and I decided why not share it with my Diva’s? 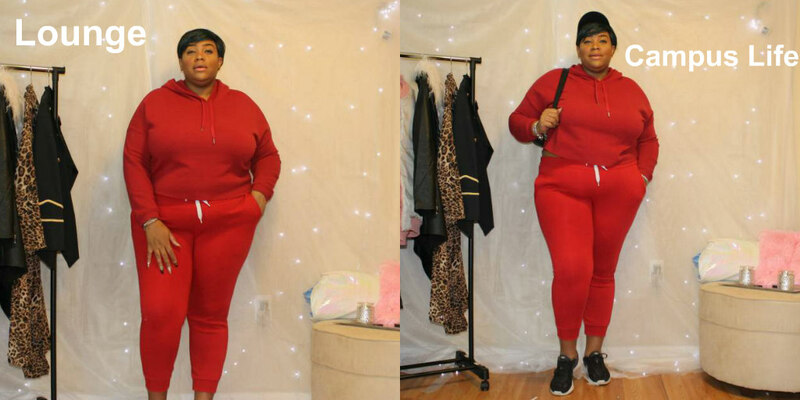 They are all super comfy two-piece sets, and as a bonus, I have also given you some styling tips on how to transition each look for when you need to leave out the house. 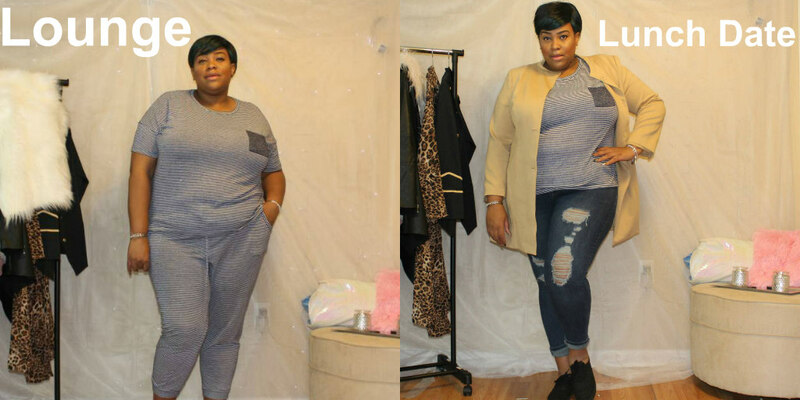 So let’s hop into this super casual styling video! I hope you enjoyed it. I really love creating short and quick styling videos, so if you have a piece of clothing you want to see styled and given tips on let me know! It can also be a specific color or print! Just send it my way via comment or Dm me on social media to let me know. Let’s get into the breakdown of each look! This set from Ashley Stewart is to die for!! I love the print, I love the material, and it’s so easy to style. This look is great for working from home, and then adding a pair of pumps and a clutch for a quick date night or girls night out look! I think this outfit would also be perfect for a Sunday brunch! This look I really was impressed with because it totally doesn’t even look like Pajamas now. Sometimes a PJ set isn’t out the door ready, so in that case, take the top of the PJ set and create it into a look. Here I just took the top and added a couple of fun pieces to create a look that is great for a quick lunch date with friends, or a trip to the park with your kids. The top doesn’t even look like it’s Pajamas! Are you more of an athletic style? Then this 2 piece set is perfect for you! It’s great for being comfy around the house, but then by adding sneakers and a hat it’s great for the gym, or add a backpack to head to class! Out of all the looks, I have shown you today, this set from Lane Bryant has to be the one I wear the most. I first saw it online, and then was hunting for it in store so I could have it now and not wait for shipping. (lol! ) I had to give up on my search and just order it online, but I am glad I did! It’s so comfy, the color is fantastic, and it’s so quick to style. Just throw on some comfy shoes and now you’re ready to run a quick errand! So ladies and gents I hope you have enjoyed today super casual video! 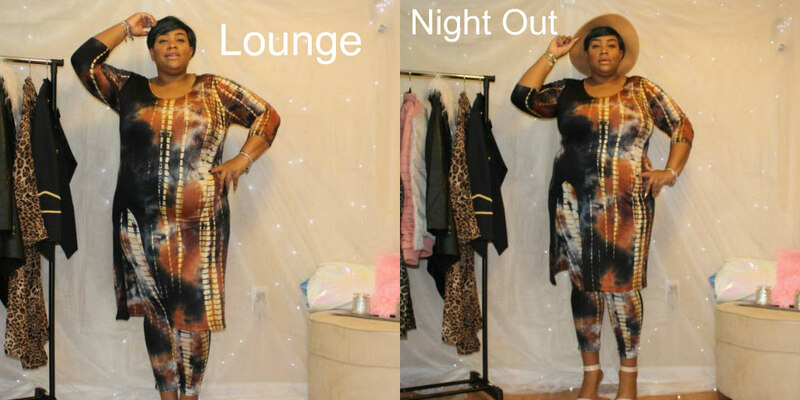 I hope it inspires you to refresh your loungewear and get creative with the different ways that you can use your wardrobe! Want to stay connected with me and the blog? Feel free to follow me on social media! They are all linked above! I love you lots like tater tots, and I will see all you darling divas with 2 new videos next week!